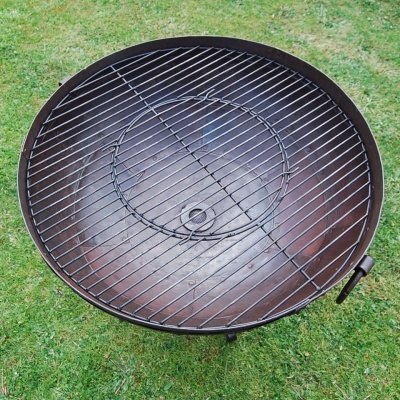 Each Kadai comes with single 4mm 'Holi' grills to be laid within the Kadai bowl, these provide an area large enough to allow for a hotter central area central in the bowl to cook over and a slightly cooler area at the sides where cooked items can be kept warm or foods such as chicken can be cooked more slowly without burning. 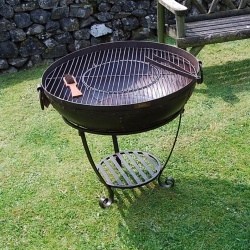 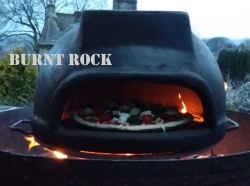 The grills have a central portion which can be lifted out whilst leaving the outer edges in place, this is useful for topping up the cooking fuel in the centre of the bowl without having to remove all the food on the grill. The grills can be lifted out of the kadai after cooking to allow the addition of firewood and logs to transform your Kadai into a fire pit to sit around. 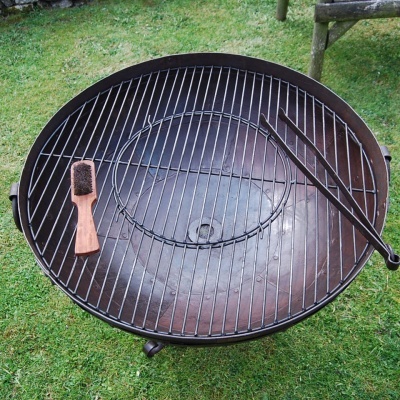 Hand made wrought iron tongs and a wire cleaning brush are included. 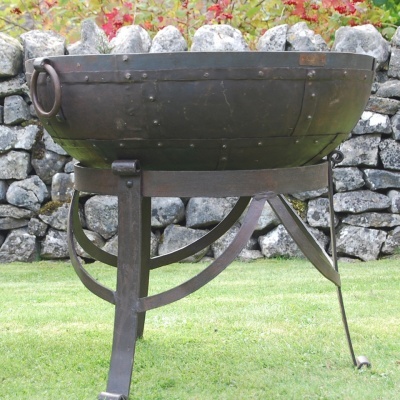 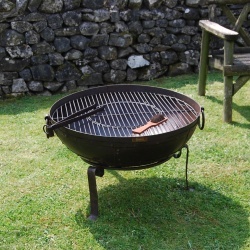 Every recycled Kadai is fitted with strong drop handles for easy manoeuvrability even when lit.